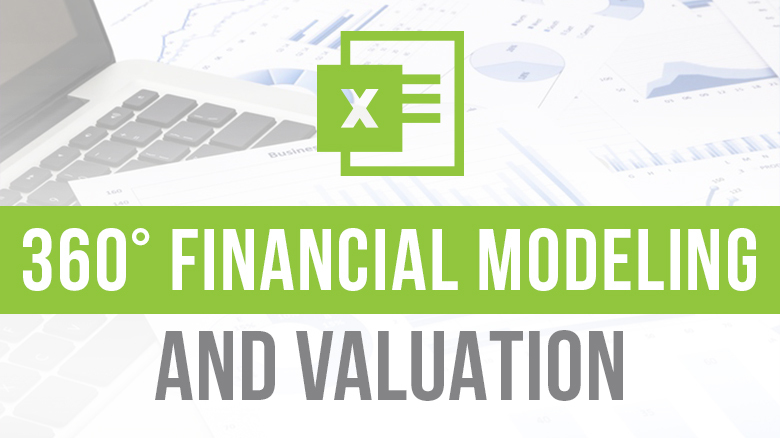 In our tutorial today, we will be looking at some new functions in Excel 2013, these are ISFORMULA and FORMULATEXT Functions. Gone are the days when it is difficult to identify cells that contain formulas. Some time ago, we have to create a user-defined function to be able to do this (identify cells with formula). The function ISFORMULA introduced in the excel 2013 can be used to do this task. 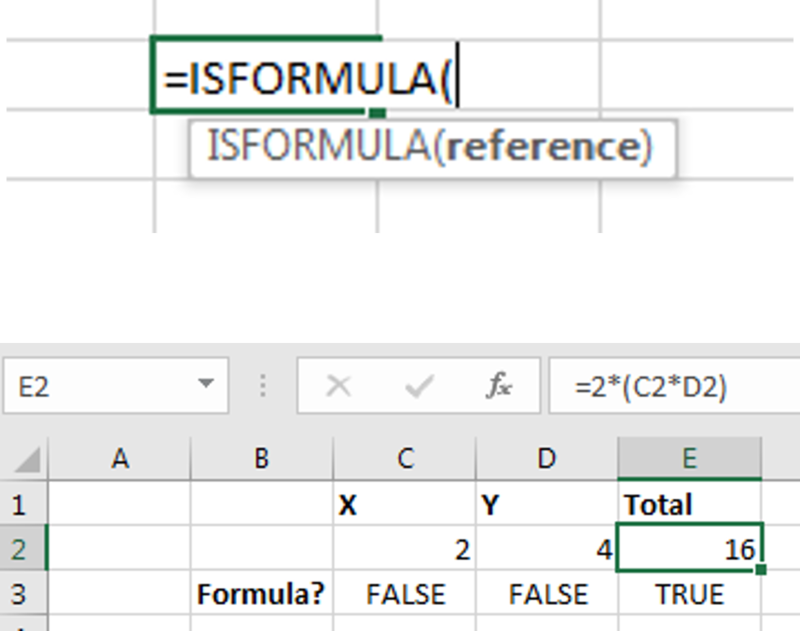 ISFORMULA Function checks whether there is a reference to a cell that contains a formula, and returns TRUE or FALSE. ISFORMULA Function can be used in formatting and auditing. It is used to test a cell for a formula. It can also be used to highlight cells with a formula. Where reference is a reference to the cell you want to test. Reference can be called reference, a formula or any name that refers to a cell. Please note that if the reference is not a valid data type, an error value will be returned by ISFORMULA. 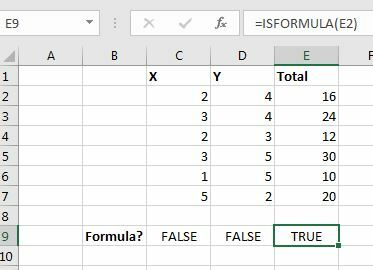 The ISFORMULA Function returns TRUE if there is a formula in a spreadsheet cell and FALSE if there is no formula. In the above picture, cells ‘C2’ and ‘D2’ are filled with numbers, but cell ‘E2’ is a formula which equals (2*(C2*D2)). In the data above, ISFORMULA Function is at play. Cells ‘C9’, ‘D9’ and ‘E9’ all contain the ISOFORMULA Function. Try to play around with numbers and formulas and then apply the ISFORMULA Function. It is a great fun you will enjoy. The FORMULATEXT returns a formula as a string. 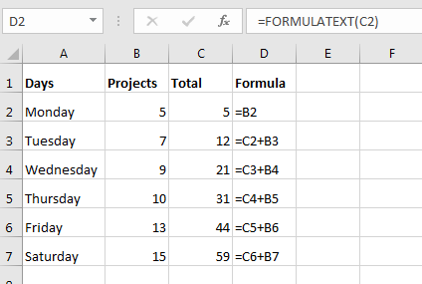 Simply put: The FORMULATEXT get the formula in a cell and presents it as a text. The reference is a required field and it is either a cell or range of cells. 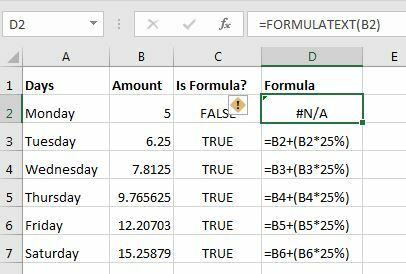 NOTE: Reference can be taken from another worksheet, spreadsheet or workbook, but these must be opened if not, FORMULATEXT returns the #N/A or error value. 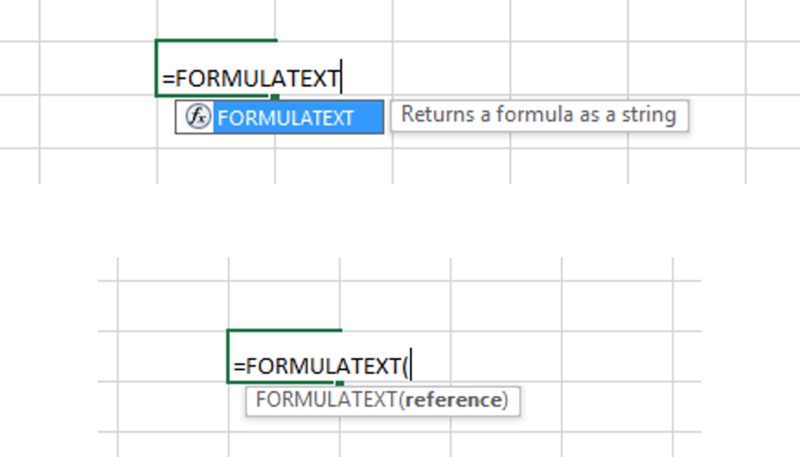 FORMULATEXT may also return the error value if the reference does not contain a formula, or if the formula in the cell is longer than 8192 characters. In the picture above, the FORMULATEXT Function has been used to bring out the formula used in the ‘C’ column. In the next slide, I will apply ISOFORMULA and FORMULATEXT Functions in the same data. The ISFORMULA Function is at play in the ‘C’ column. For the data, we can see that cell ‘C2’ does not contain a formula, hence the result there is FALSE. While cells ‘C3’ to ‘C7’ showed TRUE because they all contain formulas. The second picture shows the FORMULATEXT Formula at work in column ‘D’. Cell ‘D2’ read #N/A because there is no formula in the cell ‘B2’ it is reading. While the others showed the formulas been used in the cells read. Now start playing with these two Functions and have Fun doing it.